We must be the laughing stock of the world right now. Our friends across the pond, the Brits, had that distinction thanks to the Brexit vote earlier this summer. That however paled in comparison to what us Yankees did on November 8. No matter though, what’s done is done is done. Whichever side you were on, the next four years will be either absolute hell, or unbridled paradise. Regardless whether you are Red state or Blue though, the sun will come up tomorrow and the next day, and life will go on. The rest of the world meanwhile will be watching us carefully; looking for any small error in judgment, any tiny hiccup in this experiment called American Democracy, ready to bust out a punch line about our failings. That’s why we need to show all the reasons that America is, and will continue to be, the greatest country ever devised in human existence. Okay, that might pushing it a bit. After all who wouldn’t want to live in Rome back in the day, lounging around in togas, drinking wine and eating grapes, while watching your enemies getting eaten by lions in the Colosseum? Still, America has some good things to show off; hamburgers, Steven Spielberg, NASA, 7-11s on every corner and Lady Gaga. Perhaps one of the greatest things America has though is its cars. Sure there are a lot of imports, and not too long ago the American auto industry was on life support, but in America we can still get vehicles that would look silly prowling the tiny roads in Europe. 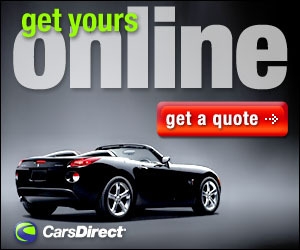 One issues perhaps, is that in the past few years the automotive industry in America has become more PC. Smaller vehicles, crossovers, hybrids, plug ins, “SMART” cars, and increasingly self-drivers. Through all this though Detroit has continued to sell cars that defy that convention. 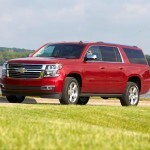 One of those is the Chevy Suburban. 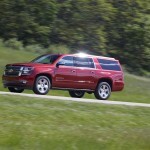 One example of defying that convention, the Suburban goes against the grain. It’s big, has a V8, plugs into nothing, and has enough room to haul an Army squad. It is a very good thing indeed. 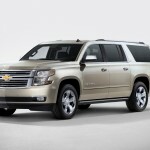 GM updated the Suburban for 2015 and debuted the 12th generation of the longest surviving automotive nameplate in production in the world (since 1935). I had a week with it last year, and liked it very much. 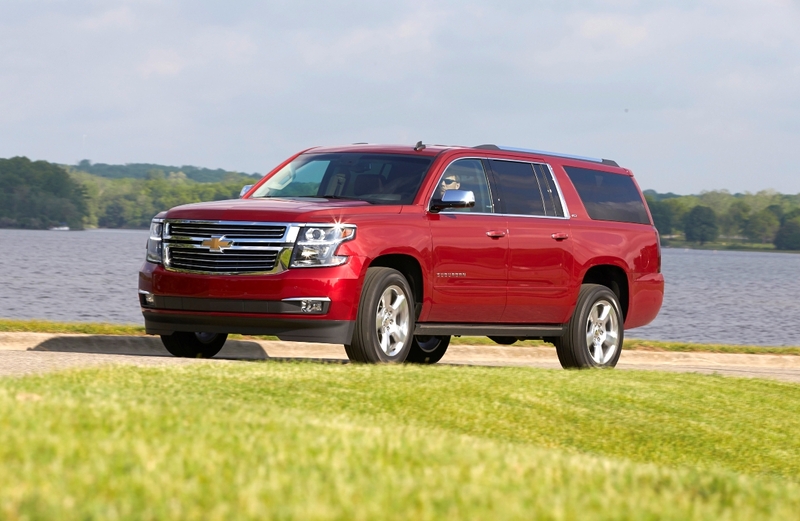 For 2016 the models remain the same, base LS, midlevel LT and luxury LTZ. Changes for 2016 include the 8-inch touchscreen, previously only found in mid- and high-trim Suburbans is now standard across the line. 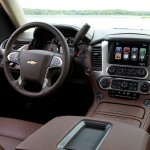 It also has smartphone integration, and LTZ’s get an optional color head-up display. The base LS comes with 18-inch alloy wheels, rear privacy glass, roof rails, remote ignition, rear parking sensors, and a rearview camera. 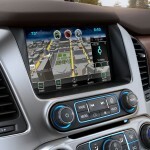 There are also, automatic wipers, tri-zone automatic climate control, cruise control, power front seats, a leather-wrapped tilt-only steering wheel, OnStar, Bluetooth phone connectivity and a six-speaker sound system with HD and satellite radio, a CD player, an auxiliary audio jack, two USB ports and an SD card slot. The optional Driver Alert package includes power-adjustable pedals, forward collision alert, lane-departure warning and a vibrating safety alert seat, and new for 2016 automatic headlights. The LT adds the Driver Alert package along with a power liftgate, a tilt-and-telescoping steering wheel, driver memory settings, an eight-way power passenger seat with power lumbar, heated front seats, leather upholstery, an auto-dimming rearview mirror, additional interior power outlets and a nine-speaker Bose sound system with three additional USB ports and the 8-inch Chevrolet MyLink touchscreen interface. Second-row captain’s chairs (power- or manual-release) are optional for the LT. Add the Luxury package and you get foglights, front parking sensors, power-folding and driver-side auto-dimming mirrors, keyless ignition and entry. In addition, there is a power tilt-and-telescoping heated steering wheel, heated and power-folding second-row captain’s chairs (dropping the seating capacity to seven), power-folding third-row seats and a blind-spot monitoring system with rear cross-traffic alerts. 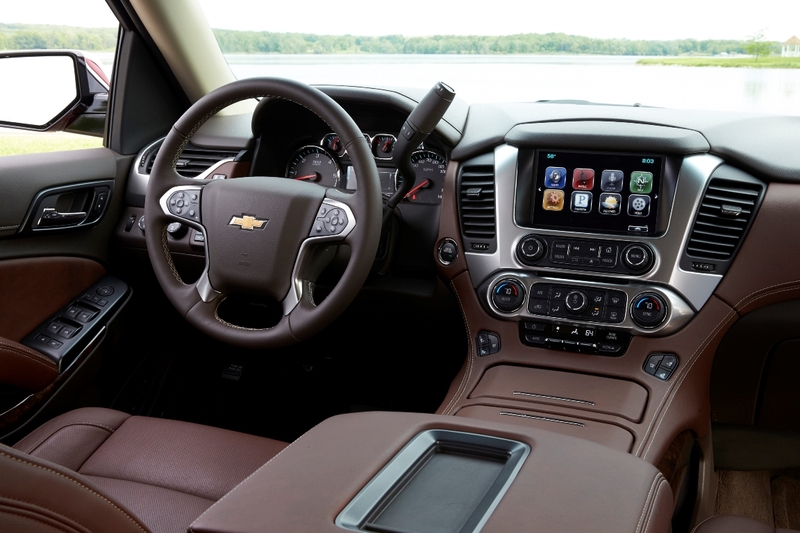 The LTZ gets the Luxury package equipment plus 20-inch alloy wheels, adaptive magnetic suspension, xenon headlights, heated and ventilated front seats with additional lumbar adjustment, and a premium 10-speaker Bose surround-sound audio system. Optional on the LT and LTZ is a Theft-Deterrent package that includes vehicle motion sensors, glass break sensors and a self-powered horn for the alarm. Last year I had the LTZ; for 2016, Chevy sent me the LT. Like the 2015, the 2016 model had the Sun, Entertainment & Destinations package ($3185), an option available for the LT and the LTZ. 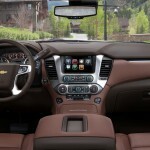 This adds a sunroof, a navigation system and a rear-seat entertainment system with a Blu-Ray player. 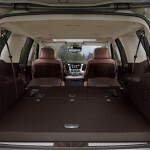 The tester also had the $6635 Signature Package which includes an additional 9 months of SiriusXM Radio, power fold third row 60/40 split bench seats, keyless start, outside heated power-adjustable, power-folding mirrors, heated second row seats, Wireless charging device, memory power tilt and telescopic steering column, Hands free liftgate, fog lamps, front and rear parking assist. There is also Rear Cross-Traffic Alert, Side Blind Zone Alert and a heated steering wheel. There was also a $580 towing package. 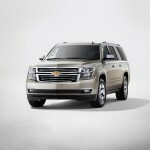 Every 2016 Chevy Suburban gets power from a 5.3 liter V-8 rated at 355 horsepower and 383 ft-lbs of torque. That power is delivered to the road through a six-speed automatic transmission to the rear wheels on 2WD models or all four wheels on 4WD models. Opting for the four-wheel drive variant will get a single-speed 4WD system; there is a more traditional 4WD system with a two-speed transfer case available. A locking rear differential is standard. 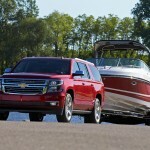 All models come with a trailer hitch receiving jack and a trailer wiring harness with a tow rating is 6,300 pounds for two-wheel-drive and 6,000 pounds with four-wheel drive. The optional Max Trailering package ups the capacity by 2,000 pounds, and provides a built-in trailer brake controller and (on LS and LT models) a heavy-duty air-leveling suspension. On the road the Suburban is big, as in taking up an entire lane big. Don’t plan on taking the first parking spot, nor saving money at the pump. Do plan on carrying a lot of people, or stuff, or zipping around twisting mountain roads aggressively, though the power for everyday use is more than adequate. And do plan on showing the rest of the world that no matter what our election process may vomit out, there is still plenty of things that make America great. 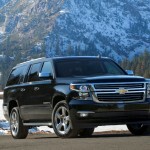 The Chevy Suburban is just such a thing. While the rest of the world may be laughing behind our backs, we’ll be cruising the open roads singing along with Lady Gaga and eating a Big Mac with a Slurpee in the cup holder. Rear head room: 39.1 in. Rear leg room: 39.7 in. EPA interior volume: 122.4 cu.ft. 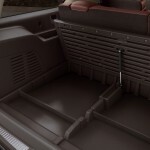 Cargo capacity, all seats in place: 39.3 cu.ft. 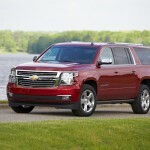 Maximum cargo capacity: 121.7 cu.ft.